The mission kicked off 1:01:01 local time after a morning of spacesuit training and navigational discussions of the exploration zone. As the terrain changes, each subsequent crew on the "red planet" adjusts to imposed closures of some roads, while other pathways open for exploration. 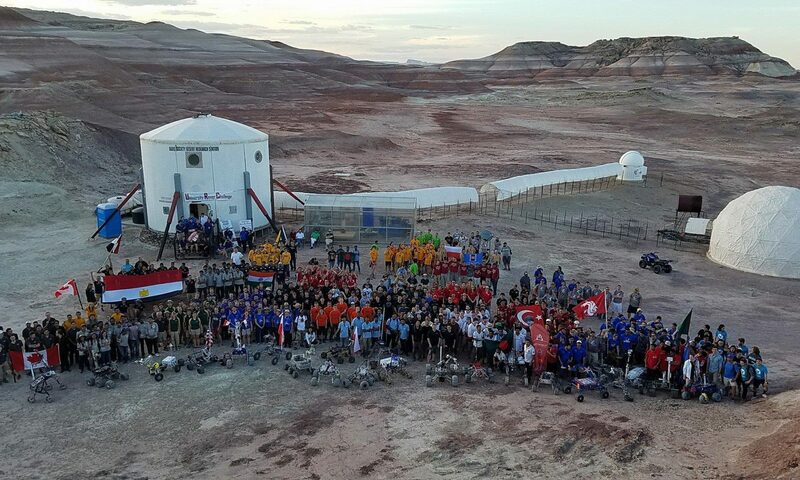 The crew snapped team photos with four nations and four flags, (Canada, USA, Australia, and Japan), and with the one uniting Mars Red-Green-Blue flag. 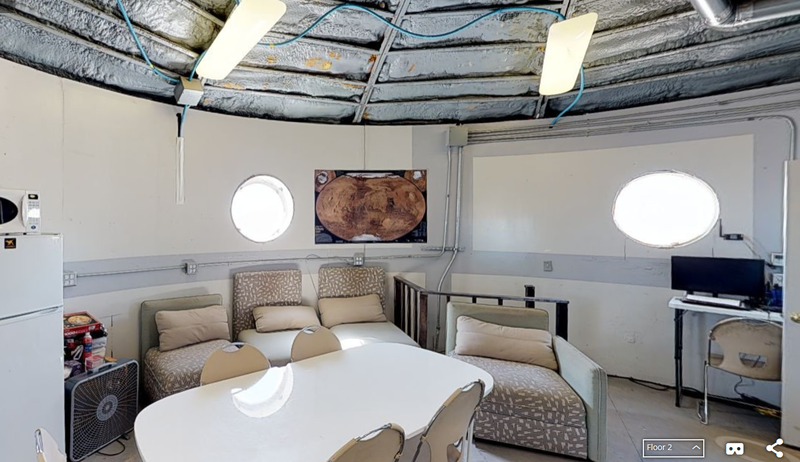 The crew planned and executed two EVAs geared towards a technical shakedown of equipment and MDRS traditions located at "Marble Ritual". Three crewmembers on each EVA drove surface vehicles to a predetermined destination to make sure the surface suits were adjusted, vehicles driven suited (the ATVs and Rovers), and then on-foot exploration. Additionally, cameras, GPS units, biomedical devices, tablets, and specialized gloves were all tested in Martian analog conditions. The relived to be underway the crew also realizes that the clock is ticking on their mission and there is a lot of data to collect and share. Things are just getting ramped up! In the morning three crew members will explore the main superhighways to the North of hab. 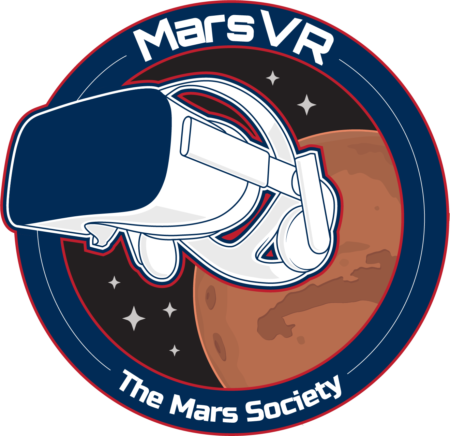 This will help ground truth critical waypoints, calibrate GPS equipment, familiarize the crew with the regions, and ensure safe exploration of all future EVAs. Crewmembers will be working on calibrating the telescope and 360 camera for the upcoming astronomical mega event of the lunar eclipse of the January Blue Moon. A warm day on "Mars" with crewmembers comfortable on EVA. The crew is learning how to combat dehydration in this new environment. Two EVAs completed with three crew on each.